That's some excellent footage! That turnpike ride and fast bumper cars looks awesome! My parents raved about the good times they had on the Island Queen on the way up the Ohio River to Coney Island. They had plenty of good times riding the rides and dancing at Moonlight Gardens to the music of the big bands. My parents might had been one of those passengers, along with their parents, that arrived on the Island Queen as shown in the video. Thank you for posting that video Terpy, I love watching clips like that. It makes me thankful that parks such as Coney, Idlewild, Conneaut Lake & Kennywood still exist. great video. I miss all of that. Time for a revisit, or a new visit. If the people in that video visited the park today I wonder how they would react. Probably most would have a heart attack from sticker shock. They would be sad at what little remains of the park. Possibly, but I know if I visited 79 years from now and it looked much the same I would be VERY disappointed. Wonderful footage. Thanks for sharing! You do realize the park is a mere shadow of its former self--in acreage, in prominence, in attendance? Coney Island of Ohio is Kings Island's predecessor park. Much of the land now belongs to others. No one would now call Coney Island of Ohio the preeminent or dominant park of the Cincinnati area. Being an OH newb I don't know much of the history, I though KI was a replacement for Coney Island. So it still exists in some form? The park that would not die is open still, with the huge Sunlite Pool, rides and picnics. It is but a shadow of what it once was, but a very nice little park. Take a look at some of the other threads in this topic. Terp, did you every go to Coney in the glory days? I know your childhood park was Camden Park and I'm sure the world was a much bigger place back then. Yes. I was there the final season before Taft "moved" the park, with the Boy Scouts. I took $100 with me, a huge sum. Shooting Star and the other rides and a bit of food took all but a bit of change. Most went to Shooting Star. What a ride that was! Good for you! I'm glad you got to go. Silly me, I forgot for a second that you had to pay as you went back then, (I know you can still do that there and at some other parks). I wonder if parks like KI would have made more money under that business model than the pay one price/season pass model, although that model can have its problems. You aren't kidding, $100 in 1971 had the same buying power as $585.98 today! The pay to play is sneaking back into parks: upcharge attractions, Fast Lane, preferred parking, Fright Lane, Skeleton Key, etc. Remember when Don posted about the Shooting Star? They should call the new coaster that. Such a classic name. The Clipper Coaster in the beginning of the video looks just like something GCI would build. I'd love to see the Shooting Star name come back to the park, and even the wonderful signage from the station... The rotating star and stardust banner. The park used the Shooting Star signage for the old Haley's Comet ride in Coney Mall when the park opened.. Great memories! A proper Shooting Star would be painted white. Parks seem to be less willing to do that these days given it's not necessary with modern treated lumber, (or a steel structure a la Ravine Flyer II). There is a lot of cost in upkeep when the wood is painted. The sun does wonders on paint after several years. Look how faded the steel coasters get after a few seasons. Yes, the property that Coney owns today is smaller than what it once owned. Several acres of land were donated to the Cincinnati Symphony Orchestra (CSO) for the creation of Riverbend Music Center. Coney actually has the parking concession for Riverbend, and the food concessions for Riverbend. If you have not been, Coney is definitely worth a visit. I hope for the day that a wooden coaster returns to Coney. Hopefully that day is not far down the road, but I haven`t heard any rumblings about it recently. My dad and his family were right across Lake Como the night Coney closed, September 6th, 1971. My grandparents knew that was the final day of the parks operation and decided to watch the final Rozzi fireworks show. My father was introduced to roller coasters after riding the Shooting Star. My mother also went to Coney as a child. She never was a ride person, and still isn't (She rode The Lost River during one visit and she tells me how, to this day, she doesn't know how she built up the courage to ride it. ), but one day she decided to ride the Teddy Bear in the Land of Oz all day. She has memories of riding the Tumble Bug and the Cuddle Up at both Coney, and at Kings Island in the early years. My mother still loves going to Coney Island because it brings back older memories of her childhood and because it is a quiet, peaceful environment. Here is a link to some more Coney Island footage. Big Dipper ( Geauga Lake ) needs a new home. Again I'm sort of confused at a coaster like Big Dipper. (This next part is all a stretch but I wonder about it for all woodies). 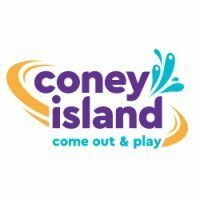 If Coney were to buy it and move it to COney Island, how much of the coaster needs to remain to be original? Most coasters have wood replaced yearly anyway. So for example there are many pictures and I bet there may be schematics or really good designers that could recreate BD. But of CI buys it what are they buying ? Just the name?